Save big. Reduce your mobility costs by up to 75%. 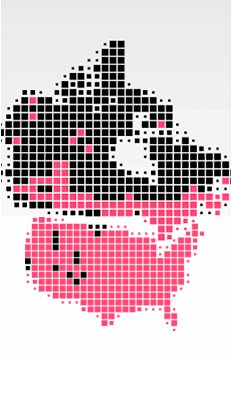 Talk & text with friends and family in Canada and the US without worry. No need to change your phone #. We'll transfer yours for free. Works with any unlocked Android or Apple phone. 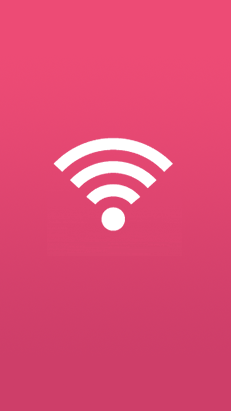 Take advantage of WIFI connections to maximize your usage. When you're not connected to WIFI, enjoy nationwide Canada & US coverage. 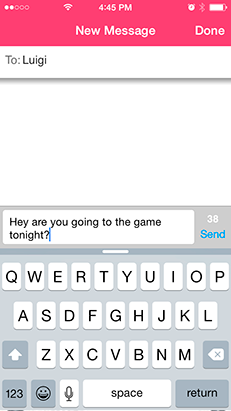 Talk & Text with WIFI as if you never left. Pay in advance. No strings attached. 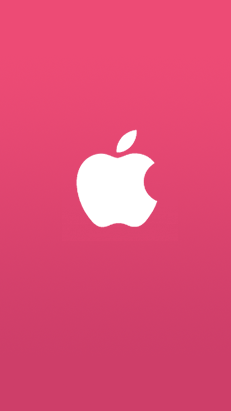 Test drive Sugar Mobile for 30 days with a local phone number of your choice. Note: WIFI-only. 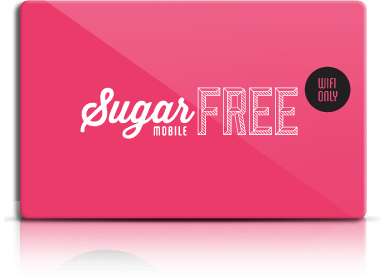 If you become a Sugar Mobile customer you'll receive a SIM Card for non-WIFI use. Caller ID and Call Waiting incl. Our SIM Kit includes everything you need to get started with Sugar Mobile, including a 30-day service plan. 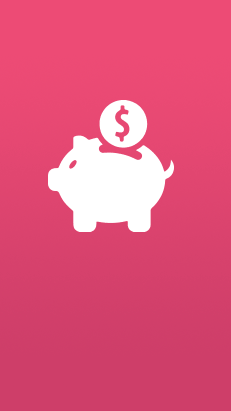 30-Day Plan Allowance (Canada & US). Take your pick of some sweet Top-Ups for just $19. 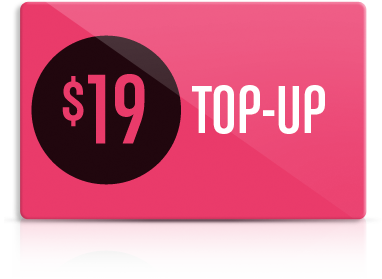 Sugar Mobile offers the following Top-Up options, all conveniently priced at $19. When you're not in a WIFI zone, you'll still be able to talk for hours, send thousands of texts, and surf, with nationwide coverage in Canada and the US. Each $19 30-day plan includes 400 MB of non-WIFI Data. You can use your non-WIFI Data across Canada and the US. view up to 2,000 webpages. Will Sugar Mobile increase my home internet bill? If you talk on Sugar Mobile for 24 hours straight, you'll use less data than you would to stream a single movie on Netflix. Since the average person talks for about 8 hours per month, it's unlikely that Sugar Mobile will increase your home internet bill. Do I have to unlock my phone in order to use Sugar Mobile? Yes. 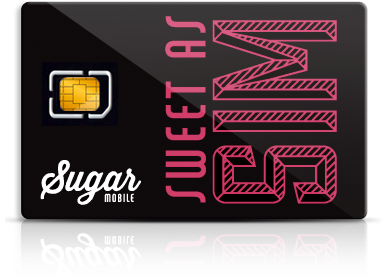 You must unlock your device in order to use the Sugar Mobile SIM card. What happens if I use all of my 400MB of non-WIFI data before my 30 days? You may still make unlimited Canada and US calls and texts using WIFI data for the remainder of the 30 days. What if I need additional non-WIFI data before my 30 days expires? You may Top-Up your account for $19. When you Top-Up your account, you get an additional 30 days of usage and 400MB of non-WIFI data. What if I Top-Up my account before 30 days and I still have unused non-WIFI data? Your unused non-WIFI data will carry over to your next 30 days. So, if you have 50MB remaining, your next 30 days will include 450MB (50MB + 400MB). Do i lose my non-WIFI data if my account expires? When your account expires your non-WIFI data is not lost. However, if your account remains expired for 90 days your non-WIFI data will be lost and your account will be closed permanently. Yes. You may request to transfer your number from your existing carrier to Sugar Mobile online at no cost. Click here for more information. 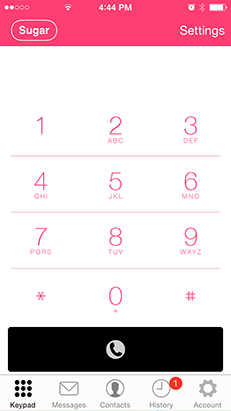 Can I use Sugar Mobile without transferring my existing phone number? Yes. We provide you with a new phone number. You simply use the new phone number until you decide to transfer your current phone number. 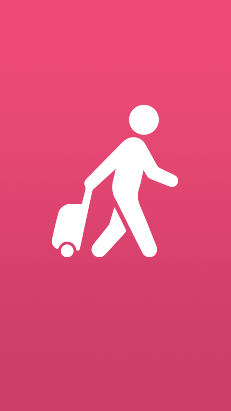 When you’re ready, login to your account at sugarmobile.ca and request a transfer. How do I know if my smart phone supports your SIM card? Our SIM card works on all smart phones. It’s a 3-in-1 design and supports Standard, Micro, and Nano SIM sizes. Can I make international calls and texts with Sugar Mobile? How do I know when I’m running low on non-WIFI data or International credit? 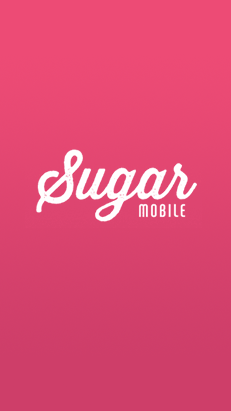 Sugar Mobile will send you text messages and/or email notifications. What type of network facilitates the non-WIFI data? Sugar Mobile uses 3G technology to facilitate non-WIFI data. 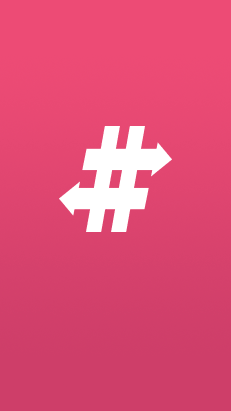 What network does Sugar Mobile operate on? We have our own network, however, when our customers are offnet we use several Tier 1 Network Operators across Canada and the US to ensure coverage. Will I incur roaming fees when using Sugar Mobile? No. 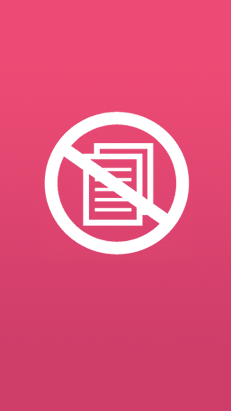 You will never incur roaming fees or additional charges regardless of where you are in Canada and the US. Can I use Sugar Mobile outside Canada and the US? Yes. Regardless of where you are in the world, as long as you're connected to WIFI, you may use Sugar Mobile. However, Canada and the US are the only countries that our SIM card currently supports non-WIFI service. Can i use Sugar Mobile with my Blackberry? 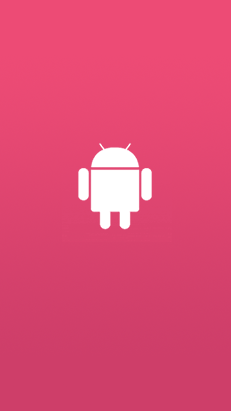 If you have a newer Blackberry that uses the Android OS, yes, otherwise no, we don't have an App for Blackberry OS devices. Can i use Sugar Mobile with my Windows Phone? No. We do not currently have an App for Windows Phone, however, we're monitoring the demand for future consideration.